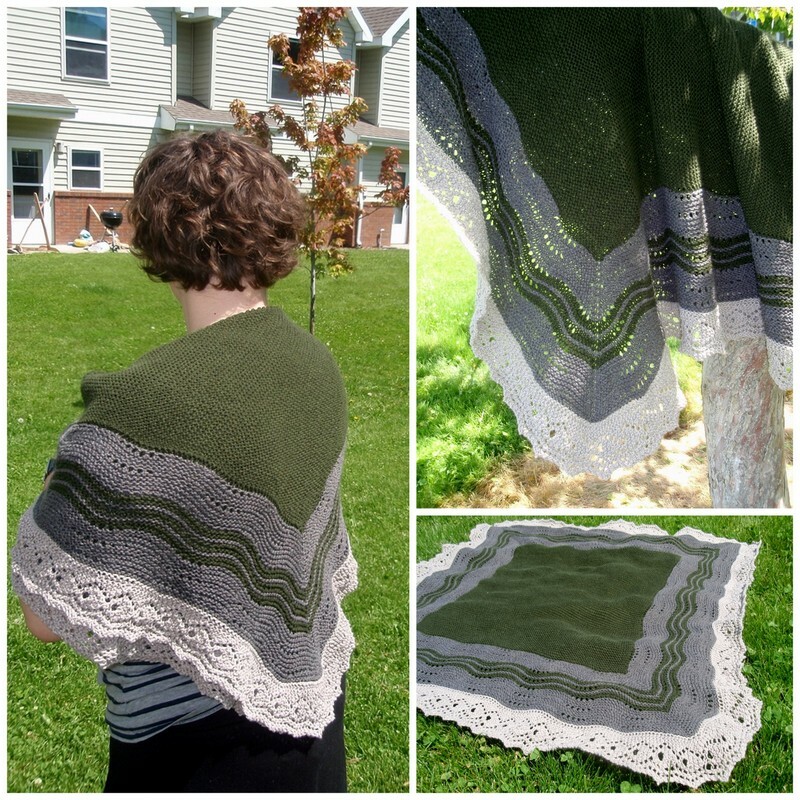 I’m happy to announce that I’ve added a new free pattern to my site! The River Ripple Hat pattern (available by clicking on the image to the left or visiting the Patterns page) is finally complete! The idea for this hat has been brewing for a long time. 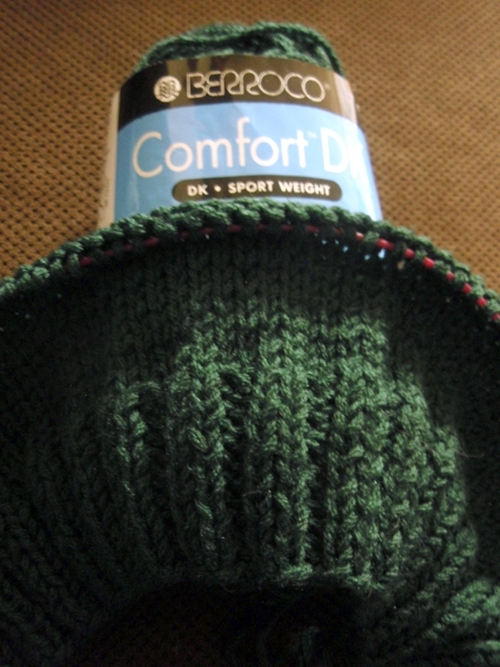 I knew I wanted something featuring garter stitch and cables with a brim worked flat then picked up along the edge. This yarn was originally meant for a TARDIS hat, but after staring at it for months and using my successful Rose Red hat (knit in the same yarn) as an inspiration, I decided to knit a water-inspired hat for Spring. This pattern is simple to work if you can knit cables, in-the-round, and take the initiative to find the length and fit that works best for your head. Because the pattern only includes instructions for a standard adult women’s size, a knitter looking to make a smaller or larger version will need to use their own judgement to adjust the gauge. 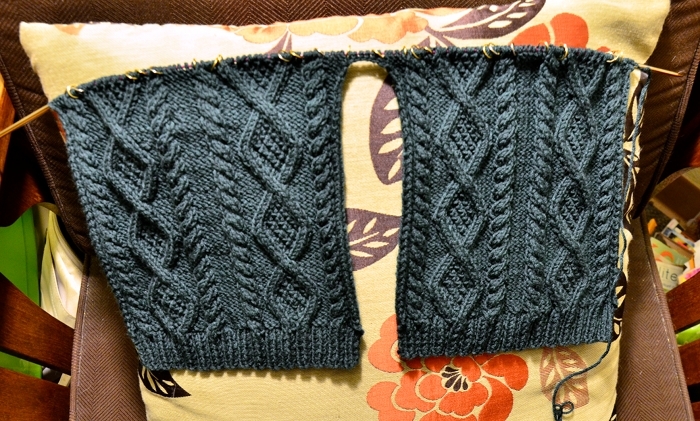 That being said, any intermediate knitter should have not problem following the instructions and chart. One of my favorite details of this hat, other than the way the simple four-stitch cable *pops* out of the garter-stitch background of the brim, is the fancy rhinestone buckle. This buckle comes from a vintage sample card my mom bought me at an estate sale years ago. I’ve been looking for reasons to use it forever, and although my husband favored a simple button for the tab, I couldn’t resist adding some sparkle. Besides, this is a classy buckle. In 1951, this buckle cost $8. Calculate inflation into that and I put a shiny, $70 buckle on my hat, which is a testament to just how much I love this hat. The pattern specifies that you can use any large buckle or button, but I’m so pleased that my hat features a classic detail that has some history. If I weren’t already married I could wear this as my something old and something blue! I recommend using Blue Sky Alpaca Worsted Cotton in the Mediterranean colorway for this pattern, but any soft worsted-weight yarn with good stitch definition will work. I hope you enjoy the pattern, and please visit the Ravelry pattern page to post any comments or questions. When I started this blog last spring, I really wanted to stick with it. I love knitting. I love writing. 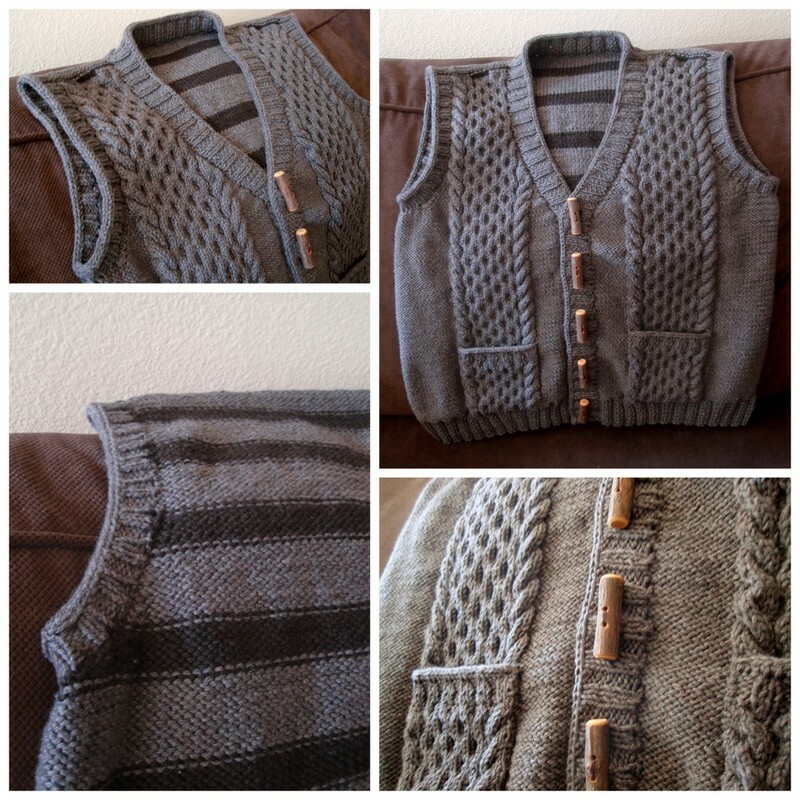 I love having a web presence that helps me share my newest knits and keep my projects organized. However, I failed. Despite my mild efforts, I slipped away from blogging, and the longer it had been since my last post, the less likely I was to sit down and get going again. It would mean acknowledging my failure. Which I am now doing. So, on that note, I am kicking off a 2012 resolution early and restarting my blog. 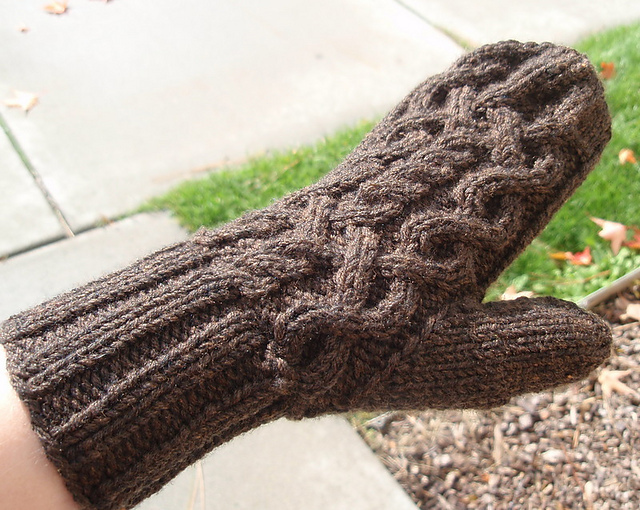 These Eugenia Mittens have kept my fingers very toasty as the Montana frost gains ground. The mittens above were a weekend project that has paid off very well. Montana gets cold in winter. Can you believe that? And even though it’s been a wonderfully mild winter, the mornings and nights are quite nippy, and these mittens have been my saving grace while scraping my windshield. 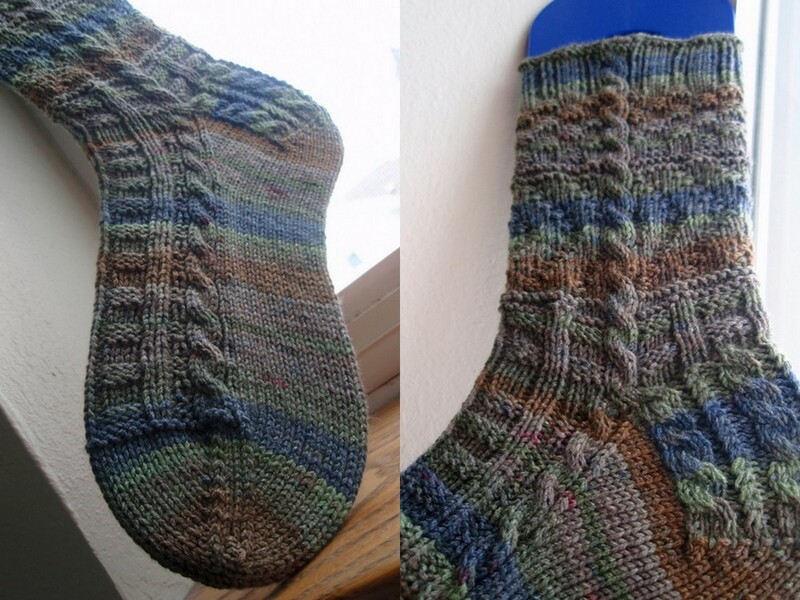 The pattern is Eugenia’s Mittens (Ravelry link) and the yarn is Berroco Comfort Worsted in Coffeeberry. I don’t have a ton of pictures of my knitting projects from the past few months, but I have been working on some very important Christmas knitting. Among which are some “Julekuler” – also known as Christmas Balls – from the Arne & Carlos book “55 Christmas Balls to Knit”. Arne & Carlos are Norwegian knitting dynamos, and this book features ornaments with traditional and contemporary Fair Isle-technique patterns. Three of my Julekuler all in a row. Some of these balls have stayed at my house (like the Griz ball, designed by me with the logo of my alma mater) and some have gone to other homes as Christmas gifts. I will continue to make these balls as the year goes so that many more can be sent to friends and family next year. 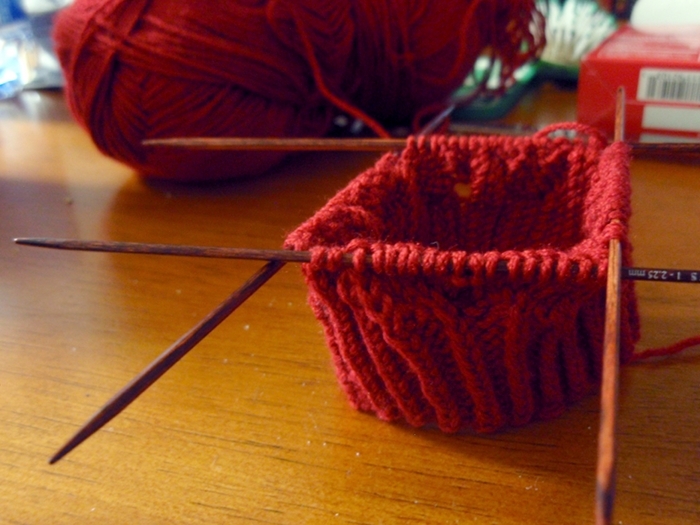 Each ball takes an afternoon or evening to make, so they’re a great quick knit. I have more pictures and updates coming in the next few days, including: Single socks waiting for mates, Christmas gift teasers, stash yarns and my devious plans for them. To everyone who read my blog before, and everyone who is reading this now, thank you! I hope to be better this year!